In recent years, some of his compositions have been covered or sampled by contemporary artists from the Dance and Techno scene (Loona, Party Animals, Scooter, Sheffield Jumpers....), proving that his music is timeless. In the 1990’s, he launched his own music production company. Today, he’s involved in a real estate project in Bali, Indonesia. Three years ago, I sent Hans an email to express my admiration without hoping for an answer. To my great surprise, the Dutch pop maestro replied. He congratulated me on my former weblog. Other emails followed. Recently, I've sent another message with a list of questions dealing with Luv'....and he answered them!!!! 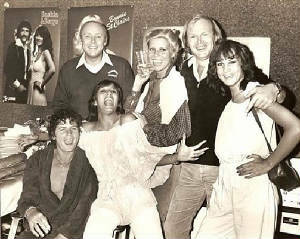 The Luv' dream team in 1979 (from left to right): Hans van Hemert, manager Pim ter Linde, Patty Brard, Marga Scheide, Piet Souer and José Hoebee. Ralph: Legend has it that you were inspired by Silver Convention(1) to recruit the Luv' members. Is it true? Hans van Hemert: I was watching "Musikladen" (2) in Germany and saw Silver Convention. I said to my wife: “I’m going to form a group with three lovely girls (a blonde, a red haired and a colour skinned one) and I’ll let them sing happy and fresh songs. Fortunately I was later helped by Piet Souer (who brought José) and Han Meijer who told me that I’d better recruit that girl (Patty), who applied for a job as a secretary at my office, for Luv’ (I invented this name in the meantime). Ralph: Did you have other inspirations? Ralph: As you've told you were helped by Piet Souer and Han Meijer to form this girl group. How long did it take to search for the perfect combination? Ralph: Who was the first Luv' girl to be recruited? Ralph: What about the two other ones? Hans: See above. Marga was recommanded to me by a modelling agency. Apart from that, it seemed that she graced the cover of a couple of records that I had produced. Ralph: Piet Souer and you composed as "Janschen & Janschens" the Luv' repertoire. How did you write the songs? How was the songwriting process? Hans: I tried to write songs together with Piet but I never succeeded. I’m the kind of person who composes “tutti solo”. I wrote most of the major hits on my own and when I couldn’t extricate myself from a composition, I asked Piet to write a chorus or a couplet. There are also tracks that Piet composed himself such as Ann-Maria. Ralph: Who chose the album songs to be released as singles? Did the record company impose their choice? Hans: No, when it was time to choose a follow-up single of a hit, I chose it and insisted until no-one of the label could say "it has no potential". Ralph: Is it true you received a Mexican gold record for "Ooh Yes I Do/Si Que Si"? Hans: No, I’m still irritated by that…the girls had it and not me! Moreover, they got this gold record at the time when Patty was lured by the man who would become her husband (Carlo Nasi). Ralph: Which of the Luv' songs do you prefer? Why? Hans: First: My number one because this track was exactly what I wanted to be and Piet added a wonderful arrangement. Second: Mother of the hearts because it deals with my youth. José and I recorded it on our own in a big and dark studio. She sang it so well that I had goose pimples. Ralph: Luv' was an export success. You and them received a Conamus Prize (like Mouth & MacNeal earlier). However, they were not successful in English speaking countries. What are the reasons for this failure? Hans: I experienced something similar with How do you do by Mouth & McNeal. It was a huge success all over the word except in the UK. When I asked the English record company why a TV performance wasn’t scheduled for this unique duo, Johnny Franz (a famous producer and A&R manager at the English subsidiary of Philips), said to me: “Don’t tell us how to promote records”. The same story happened to Luv’ and I had so many artists in my roaster that I couldn’t plan everything. 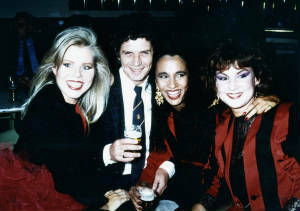 Ralph: You formed a limited company (InterLUV’) with Pim ter Linde(3), Piet Souer and the ladies in the summer of 1979. It lasted two years. Are you satisfied with this result? Hans: It seemed to be an illegal action that the tax authorities blamed on me. Because of it, I lost everything. Luv’s shares could be purchased. Ralph: You left Phonogram in 1979 to sign a 750 000 Guilder deal with CNR/Carrere Records (source: De Telegraaf). In retrospect, did you make a good choice? Hans: Claude Carrere (founder and former CEO of Carrere Records) never paid this amount because he could withdraw from the deal at any moment if there were changes in the original line-up (with Patty). In other words, he offered the money for the group as it originally was (including Patty) but then she left. Ralph: What do you like in Carrere Records? Were you more free with Carrere? Hans: No the thing is that I simply left Phonogram. Ralph: When Luv' made a statement about their break-up in March 1981, I guess that they had a lot of projects. Which projects didn't go on because of this demise? Hans: Nothing…I always prepared new tracks at the very last moment. Ralph: After Luv', the ladies went solo. What do you think of their musical career on their own? Hans: It couldn’t hold a candle to their Luv’ years and you miss of course the synergy between the ladies. Ralph : Marga Scheide formed with two other girls another Luv' trio. What do you think about this version of the group? Ralph: Apart from Luv' which other Dutch girl group do you like? Ralph: In 2005, after you and René Moonen had brought the ladies in "speaking terms", Luv' made a surprise performance at your birthday party. Could you believe that such an event was possible? Hans: I had already given up on it because I had been busy with it during two years. Each time there was something wrong. So it was a big surprise that the girls performed at my birthday party. My friend, de Aal(5), had planned everything…but don’t ask me how! Ralph: What about your relationship with the official fan club? How did the club helped for the compilation 25 Jaar Na Waldolala, the "Completely In Luv'" box set and the DVD Back In Luv'? Hans: René Moonen did a wonderful job. Ralph: How's your relationship with LUV' today? Hans: I don’t see and hear from them anymore. 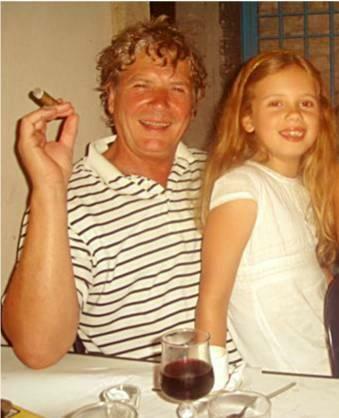 Patty often calls me “Hans van Hebberd” (6) because I wanted to have a small royalty for “25 Jaar Na Waldolala”. It led to the payment of 300€ whereas they now perform with pre-recorded tapes with my music and are paid 10 000€ for a 30 minute show. Ralph: What's your opinion on the current crisis in the music business? Hans: When you ask a teenager if he/she listens to music, he/she answers “very often”. When you ask “how did you get the music?”, there’s always the same answer :”internet”. And when you want to know if they have paid for it, they look at you as if you came from another planet. Ralph: What are your current and future projects? Hans: I’m busy with other things. I see with great delight that my old hits somehow come back (sometimes there are cover versions, remixes and samples). Songwriting is currently a hobby and to earn some money I build houses in Bali. BIG THANKS to Hans for making this interview possible and for your music !!! 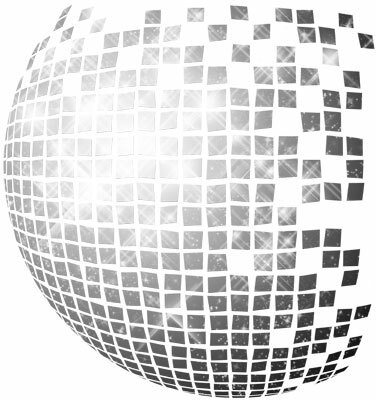 (1): Silver Convention was a German Disco girl group that scored world hits in the mid 1970's such as Save Me (1974), Fly Robin Fly (1975) and Get Up And Boogie (1976). (2): Musikladen was a famous German music TV show that welcomed international acts such as ABBA, Boney M., Blondie, Queen and of course Luv' (just to name a few). (3): Pim ter Linde was Luv’s second manager during the most successful phase of their career (1978 – 1981). At this time, he runned Interlinde Management (a company that promoted popular artists in Holland like Saskia & Serge, Bonnie St. Claire, Lee Towers…). Because Luv’ wasn’t satisfied by their previous manager Han Meijer, they chose Pim. (4): Mai Tai is a R&B girl trio whose members come from the Dutch West Indies and that was very popular in the mid 1980's in Benelux, Scandinavia, German speaking countries and the UK with hits like History, Female Intuition and Body and Soul. (5): De Aal is the stage name of Albert Anton Johan van Aalten. 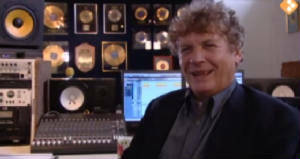 He scored a Top 10 Carnival hit (Een barg die hé un krul in de steert) produced by Hans van Hemert in 1985. He's nicknamed "the singing dentist" because of his regular job in dentistry. (6): a Dutch play on words; Hebbert comes from the verb “Hebben” which means “To Have”. By using this expression, Patty Brard considered Hans as a “greedy” person. Hans & his LUV' protégées in 1988.